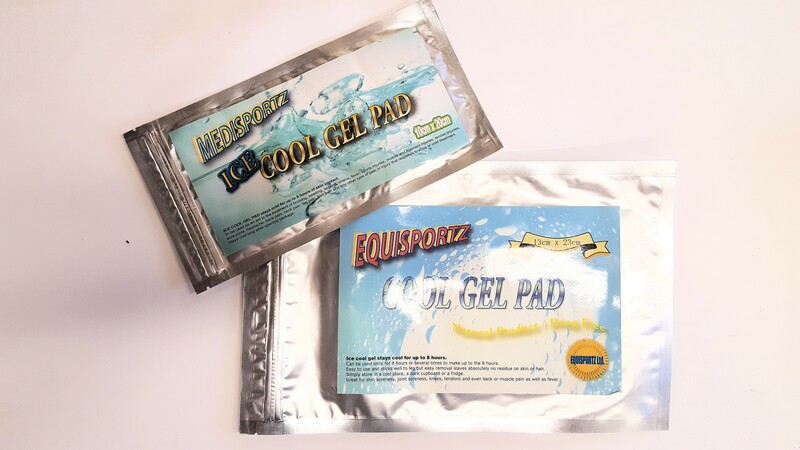 EQUISPORTZ COOL GEL PAD - Sports Medicine for you and your horse! Ice cool gel stays cool for up to 8 hours. Ice cool gel stays cool for up to 8 hours. Can be used once for 8 hours or several times to make up to the 8 hours. Easy to use and sticks well to leg but easy removal leaves absolutely no residue on skin or hair. Simply store in a cool, dark place or a fridge. Great for shin soreness, joint soreness, knees, tendons and even back or muscle pain as well as fever.